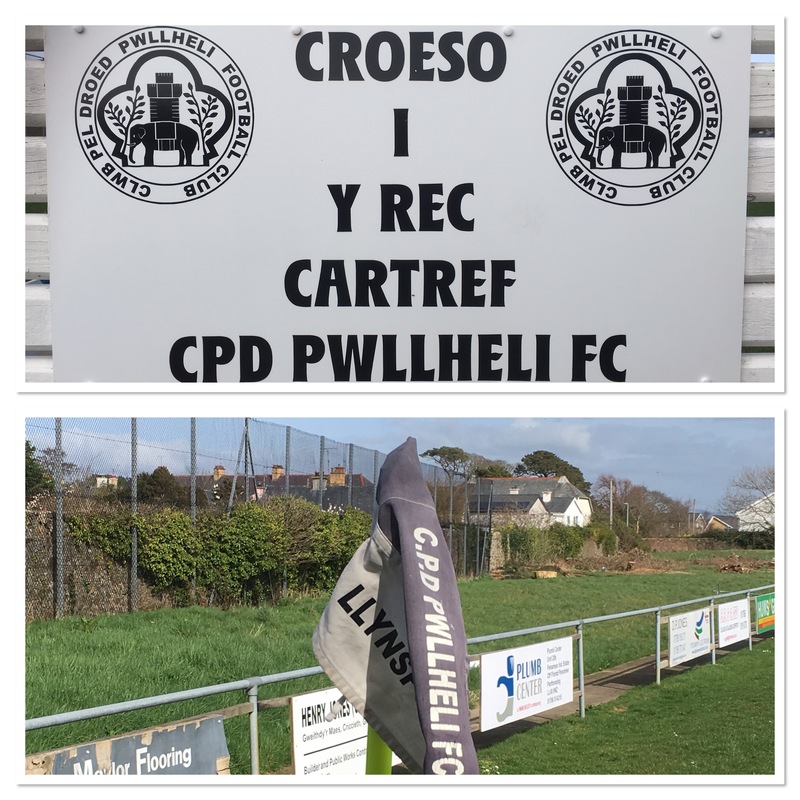 I can’t necessarily think of why but there have been three Welsh grounds that I have been wanting to visit for a while, with one of them being Pwllheli FC’s Recreation Ground. Well, that number is now down to two (Barmouth and Betwys-y-Coed) as I ticked that one in the Welsh Alliance League Division Two fixture, with Aberffraw FC the visitors. The game ended 4-2 to Pwllheli and there was some good football played by both sides. It was my 48th Welsh ground overall and as my dog accompanied my wife and me (we were on holiday) this time, it was also her second, following on from Porthmadog FC last year. A groundhopping Bedlington Terrier in the making. Back to the game though and I loved how the referee and a Pwllheli player accidentally collided and the ref gave him a red card. With a big smile on his face of course. I do love Welsh football. Clwb Pêl-Droed by the way is football club. As expected, the Welsh language was freely spoken both on and off the pitch, which was great to hear. Bendigedig! The short video captures my visit. Return to the home page, visit my football pages and read my bio.